Wilderness Warrior will be recess for adults; Inaugural event set for April 27th in London The Wilderness Road was a steep, rough and narrow path that could only be traversed on foot or horseback after Daniel Boone and 35 axmen cut a route through the Cumberland Gap into Kentucky in 1775. In the spring of 2019, modern-day fitness warriors will encounter similar rugged conditions when they traverse 3.1 miles on and around the former Wilderness Road. They will get tested, covered in mud and have a lot of fun, while supporting local family organizations. The Wilderness Warrior Obstacle and Mud Run will be held Saturday, April 27 at Levi Jackson State Park and the Laurel County Fairgrounds located on Ky. 229, which incorporates a lot of Boone’s Wilderness Road. “Wilderness Warrior is like recess for grown-ups, except our playground involves getting dirty and epic obstacles,” reads promotional materials for the event. 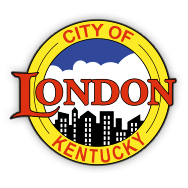 The inaugural run is the brainchild of two London fitness trainers, Susannah Zawko and Mike Lovitt, who participate in similar challenges across the South and believe it’s time for Laurel County to have its own. Wilderness Warrior is a combination race and obstacle run that will challenge competitors’ strength and endurance along the 5K course. “We’re drawing up all the obstacles now,” said Lovitt, who is health and wellness coordinator for PT Pros. “It will go all the way around the perimeter of the fairgrounds, along the power line, up past Conley Road and circle back.” Participants will have to crawl through mud, jump over logs, work their way through nets and tires, jump over water and carry weight up a hill, Lovitt said. “It’s a good test of fitness, but we also plan to make it very safe,” he said. The main obstacle course will be for adults. There will be a smaller course for children and races where they can win prizes. “I am interested in doing an event that gives back to our community and is something the entire family can come out and be involved in,” said Zawko, who is owner of Elevate Fitness Studio in London. “It’s not just a target age group, we want something that kids can do. We’ll have food trucks and live music and just band together for our community.” Proceeds from Wilderness Warrior will support two agencies that work with families; Benchmark Family Services, a therapeutic foster care agency and Cumberland Valley Children’s Advocacy Center. The event will be an individual test of strength and endurance, but will also be a good team-building exercise for participants who want to work together, Zawko said. “Lots of times you’ll have a group from work that wants to band together, and they all have their team names,” she said. “They train together and wear costumes. It’s a lot of fun.” Zawko and Lovitt hope to have 500 entrants in the inaugural year and grow Wilderness Warrior in succeeding years. Sponsorship opportunities are available to businesses and individuals who want to support the event. Early-bird registrations for Wilderness Warrior are $35. For more information and to register, go to: http://wildernesswarriorky.com.